When it comes to dips I usually prefer cold dips, except when they’re filled with cheese like the one pictured above. I made this one the other night for a very light dinner when no one was very hungry, and we just wanted a few things to snack on. I adapted it slightly from Trisha Yearwood’s recipe on the Food Network iPhone app. It’s called Charleston Cheese Dip. Enjoy! 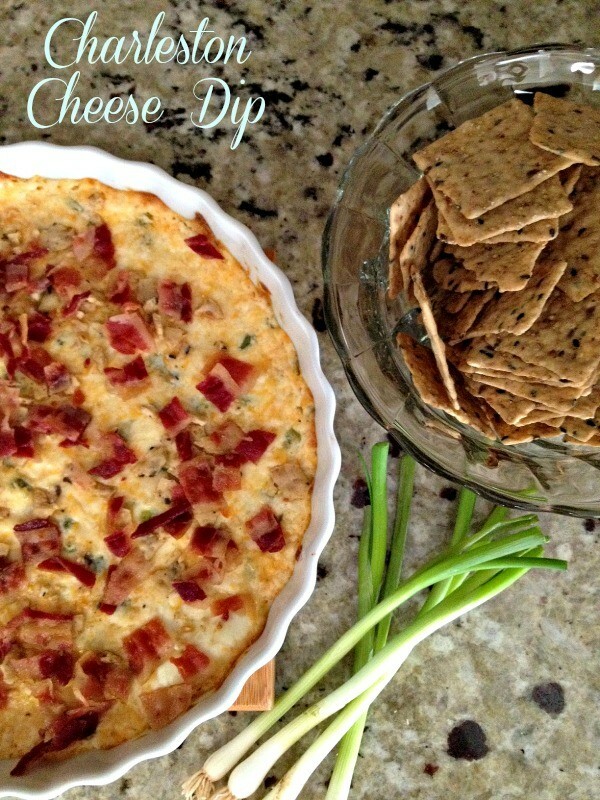 A delicious cheesy warm dip great with crackers or corn chips. In a medium bowl mix together the mayo, softened cream cheese, grated Cheeses, green onions and cayenne pepper. Transfer mixture to a shallow dish such as a 9-inch pie pan. Top the mixture with the cracker crumbs and bake for 15 minutes or until heated through. Remove the pan from the oven and top with the crumbled bacon. Serve the dip immediately with the corn chips, crackers or bagel chips.